Belfast’s Metropolitan Arts Centre needs emergency funding of £300,000 to avoid the prospect of closing at the end of the financial year. Since opening in 2012, the £18 million, city-centre arts complex has seen its funding from the Arts Council of Northern Ireland fall by nearly 8% to £922,500 for the present year. In recent weeks, it has received a £40,000 bail out from Belfast City Council to “address immediate cash-flow issues and to keep the doors open until the end of October”. The sum was equivalent to more than half of the £75,000 the MAC received in annual funding from the council for 2017/18. In an interview with BBC Northern Ireland, DUP councillor Graham Craig said that without the council’s intervention, there was “a danger that the MAC will not be able to continue trading”. A business plan developed by management has said the twin-theatre space needs an extra £275,000 from the Arts Council and £25,000 from the city council to meet its operating costs in the current financial year. It claimed that staff cuts and reduced programming had led to £90,000 savings in operating costs in the current year. It also made an early bid for an additional £220,000 Arts Council funding and an extra £50,000 in city council grant-aid for 2018/19. It is understood the Arts Council’s parent body, the Department for Communities, has not yet sanctioned the new business case in the absence of ministerial authority as Northern Ireland remains in political deadlock following the collapse of the Assembly in January this year. In June, arts spending in the region entered its second successive decade of annual reductions with the Arts Council’s total allocation falling by more than a quarter since 2015. More than a third of its 2017/18 funding of £13.1 million was drawn from National Lottery funds. 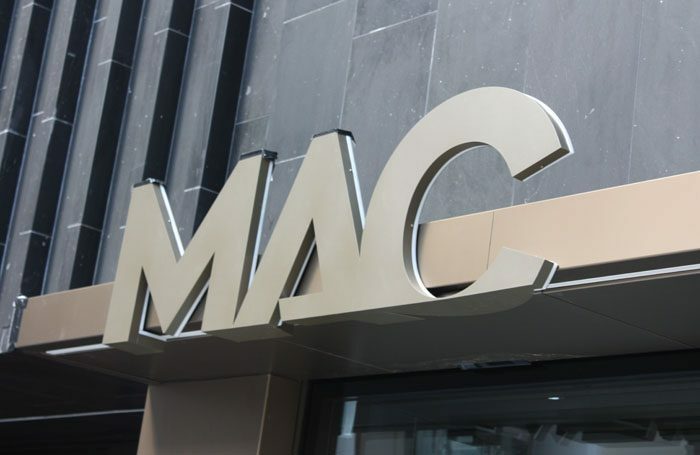 Also in June, the MAC requested emergency funding of nearly £1 million to repair its exterior facade after several basalt cladding tiles became detached. Although scaffolding was erected – and remains in place – the repairs have yet to be carried out. In a statement, the MAC said it “has grown its self-generated income year-on-year” and claimed it added £9.7 million per annum to the local economy. It added: “Like many arts organisations, we operate in a pressured funding environment. We face a short-term funding gap and are working closely with our stakeholders including the Department [for Communities] and the Arts Council to address this issue”.